On This Day in History, in 1501, Arthur Tudor and Catherine of Aragon meet for the first time, before they are finally married. 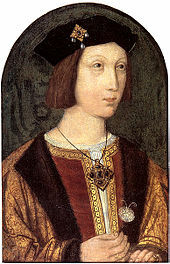 Arthur Tudor was the Prince of Wales and also the eldest son of King Henry VII of England. As the eldest son of the King, he was also the heir apparent. Plans for Arthur's marriage started at the age of three, because any self-respecting three-year-old needs a wife. It wasn't until he was eleven-years-old that he was formally betrothed. Although they waited until he was 15-years-old before he actually married. And the lucky lady was Catherine of Aragon. Wait a minute, that name sounds familiar. Wasn't she the wife of King Henry VIII? Which is what Arthur said to his new wife on their wedding night. Apparently Arthur didn't, as that was why Henry VIII was given permission to marry Catherine of Aragon. They had never consummated their marriage. Henry became heir apparent after his brother, Arthur, died. And along with the title of Prince of Wales, Henry inherited the wife. Most wouldn't want to stir their brother's yoghurt, but 16th century England was a different time. Marriages bred alliances, and England needed a strong alliance. Marriages also bred heirs, and England needed a male heir to continue the royal line. Catherine would give the dashing Henry a male heir. For sure. Almost certainly. Unfortunately, the first born was a girl. And an ugly one at that. They named her Mary. Because that's the name you give to ugly children. But a male would follow. Definitely. Probably. Oh, this isn't going to end well, is it? Upon the death of his father, Henry became King of England as Henry-Of-The-Many-Numbers. After years of trying, mostly in the doggy position, but occasionally mid-cartwheel, Catherine of Aragon couldn't pop out a boy child. They obviously didn't eat enough garlic. The ever increasing waistline of Henry VIII got annoyed with the lack of a boy, and the serious lack of cake, and sought comfort with a bit of rough. That bit of rough and tumble was Anne Boleyn, who wouldn't tumble with the increasingly rough of Henry-Ate-All-The-Pies, unless they were married. So, in 1536, Henry VIII petitioned to divorce his ex-brother's ex-wife, Catherine of Aragon, on the grounds that Arthur did indeed do the diddly-squat with his wife. Which is probably the reason they didn't produce a male heir. On This Day in 1677, William of Orange married Mary Stuart, the future Queen Mary II of England. William of Orange would also become a monarch, morphing into King William III of England after some bad holiday timing from King James II of England. Mary Stuart was the daughter of King James-The-Second-I-Turn-My-Back-You-Drive-The-Knife-In. Some daughters just can't be trusted. It's long and complicated story. In brief, James II was king of England and England was a protestant country. Mary was heir and she was protestant. Everything was okay so far. She even married William of Oranges not Lemons said the bells of .... Who was also protestant. So, the country would continue as a protestant country. 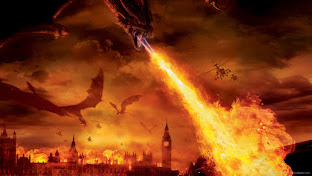 King James-The-Wait-A-Second-It-Was-A-Holiday-Not-An-Abdication shacked up with a new wife. To make matters worse, she then gave birth to a son. Boys were better than girls back then, which is thankfully not true anymore. And the new little baby boy would inherit the throne before Mary. Not a huge problem, if it weren't for James' new wife being a Catholic. Booooo. Hisssss. And the kid would be raised as one of "them". This did not sit well with England at the time. William of Orange, the nasty fruit, was invited to England with his army (in what's called the Glorious Revolution), and was crowned, alongside Mary, as King of England. Where was James? Well, he was on holiday in France at the time. In a move that wasn't quite an abdication. But, well, semantics. On This Day in 1650, William of Orange was born. Yep, he got married on his birthday. That's how you remember the anniversary.